The Indian military's response should not be hurried; it must be strong and credible to make Pakistan sit up and take note. 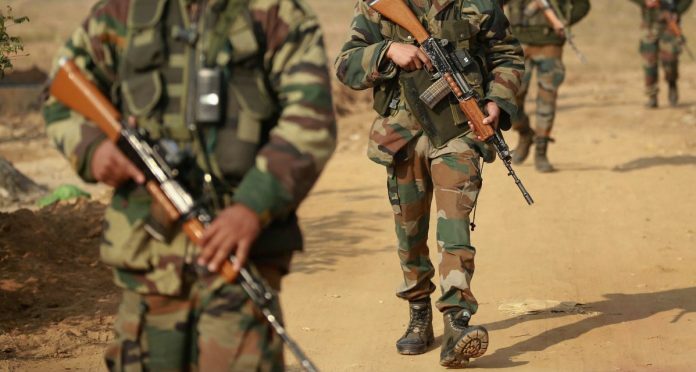 With less than three months left for the Lok Sabha elections, the Pulwama terror attack has put the Narendra Modi government in a tight spot. It could be a default timing, but the ISI calibrates all major terrorist strikes in Jammu and Kashmir. Pakistan-based Jaish-e-Mohammed has claimed to have organised the strike through its J&K chapter to which Adil Ahmad Dar, the suicide bomber, belonged. More than the security forces who are trained to face adversity and setbacks, it is the public sentiment high on politically-inspired nationalism that may force the government to respond to Pakistan militarily. But the response should not be hurried, it must be strong and credible to make Pakistan sit up and take note, and be part of a calibrated strategy to force compellence on Pakistan. We should be prepared to climb up the escalatory ladder as the situation develops. The 2016 surgical strikes were a tactical success but being a ‘one off’ operation, they did not achieve the desired strategic results. Another ‘one off’ retributory operation would be strategic folly. While India considers military options to respond to the attack, it also needs to review its internal security challenges. The terrorists have been on the run for the last two years and have suffered heavy losses. They needed a major success to boost the morale of their cadres and supporters. The phenomenal success of the attack on the CRPF convoy, carried out by a local fidayeen, is likely to motivate them to focus more on indirect attacks on the security forces and the public in the Jammu region. Apart from the homegrown Hizbul Mujahideen, Pakistan-based JeM and Lashkar-e-Taiba are hiring more local recruits than getting militants from across the border to carry out attacks. These local recruits are not well-trained, and are easily neutralised by the security forces in direct attacks with small arms. Logic suggests that, in future, terrorists are more likely to opt for indirect attacks in form of fidayeen bombers wearing explosive belts or using explosive laden vehicles; improvised explosive devices (IEDs) and bombs planted with timers or remote triggering devices; “mowing down” of crowds using heavy vehicles; shooting down of commercial and military aircraft and helicopters with shoulder-fired missiles; exploding fuel/gas tankers in crowded areas; aerial attacks with “drone bombs”; and chemical/biological attacks. The Sufi culture of Jammu and Kashmir has been eroded over the years and more extremist form of Islam, of which the fidayeen culture is an integral part, has made inroads. To add to that, the technology for assembling the IEDs is easily available on the Internet. It would be far-fetched to say that the Pulwama attack was an absolute intelligence and security failure. The advantage of choosing the place and time lies with the terrorists. Hence, in an ongoing fourth-generation war, terrorists can always achieve surprise. The security forces have to succeed all the time and the terrorists have to succeed only once. There has been a sustained campaign against terrorism in Jammu and Kashmir and security forces have achieved remarkable success in the last two years. Terrorists were under tremendous pressure to plot a spectacular incident, and the Pulwama attack is a result of that. But the security forces definitely need to take more precautions to prevent a similar attack. Roads need to be more effectively sanitised, and, where required, civilian vehicle movement should be restricted for the movement of convoys. The doing away of this precaution and allowing civilian vehicles to ply along with the convoys was a serious security lapse and the main reason for the success of the terrorist attack in Pulwama. Our electronic jammers need to be upgraded. Small drones must be utilised to keep the convoy routes under constant surveillance. Last but not the least, human intelligence is still the best preventive measure against terrorist attacks. Both the insurgents and the government work towards evolving a political strategy, which drives their military strategy. Politically, both strive to win the hearts and minds of the people to garner their support. The powerful state, tactically, always defeats the terrorists, but unless it wins the battle of the heart and the minds, it will still lose the strategic battle. The BJP began well by forming a coalition government with the PDP, and the people of J&K had very high expectations. Even the sceptics were optimistic. However, the BJP’s ideology prevented it from being an accommodative coalition partner. It not only broke the coalition but also discredited the PDP. No effort was made to provide the healing touch and there was no worthwhile political engagement with the people. People lost all hope in a political solution and this led to the revival of the insurgency. Complete reliance on the hard-military strategy at the cost of political strategy ensures that the insurgency never dies. Pulwama attack is the manifestation of this phenomena. Lt Gen H S Panag PVSM, AVSM (R) served in the Indian Army for 40 years. He was GOC in C Northern Command and Central Command. Post retirement, he was Member of Armed Forces Tribunal. President Trump has asked Pakistan to end terror immediately. Here’s how he can help India. Help to JAM all Pakistani radars — America should know how to do it because all military equipment of Pakistan is supplied by America — and let Indian jets fly deep into each and every corner of Pakistan and DESTROY ALL OF THEIR FIGHTER JETS, runways etc. Let there be a blitzkrieg that will silence Pakistan for all times to come. This is what America itself did in Iraq; the much touted Republican Army of Saddam Hussein was brought to its knees IN LESS THAN ONE DAY. Exactly. And more important, TV channels should stop igniting violence through their “journalism”. Specially, propaganda movies should be banned at all cost. Apart from that, party spokesmen and their friends should stop blaming each other. Azaadi ki 70 sal poore ho gaye hai. Sir, what I interacted with you as Northern Army Commander was awesome. Now as Vetearn and with political alignment, sir your writings of late are literally sick , subjective; and having politically bias. Stop lowering your esteem and dignity further. On the contrary Mr. Manmeet Singh, this is a very reasoned and intelligent response. It is asking the Indian state to respond strategically, which it must. India should start terror camps against Pakistan. Fidaayeen attack on Indian soil should be retaliated with fidayeen attacks on Pak soil. US nuked Japan and made her kneel. What will India do? After all, ours is a third class Socialist country with no money for defence. In contrast first leader of independent Singapore invested well on military saying a strong military is required for his nation to prosper and feel secured. We haven’t learnt anything from past invasions and colonialism. Only thing we are good at is crass Socialism. Nehru and Gandhi are the main culprits and we are still paying for their sins. Let the optimal response be crafted entirely by the top military leadership, in consultation with MEA, and then the formal approval of the political executive, with zero sensitivity to electoral considerations. One is disappointed that the top brass did not push back against soldiers playing bagpipes in shopping malls in Chandigarh, to “ celebrate “ the anniversary of the surgical strikes. High, Sir could come back to haunt us, like India Shining did.